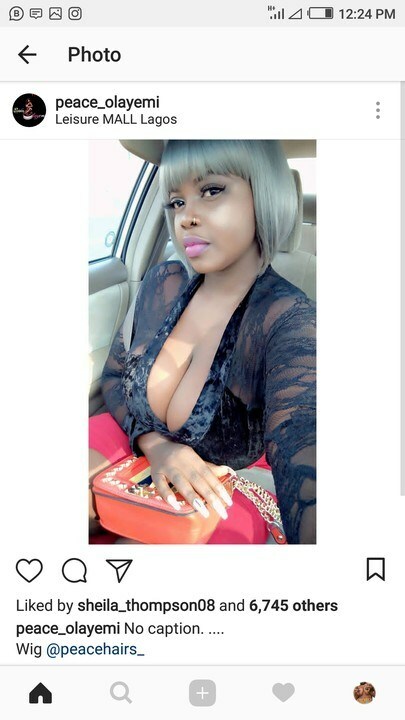 One young and considered upcoming Nigerian nudist popularly know as Peace Olayemi from the getto side in Lagos have been said to 40 thousand Naira for each minute to have dirty whatsapp video chat with her clients. Peace have been said to have been practicing this for a while now all in order to make both ends meet and cater for her and her family needs. But untill now with all the hassles their has been nothing to show forth even til l now her life is still the same , still leaving in a rented apartment in a local environment.